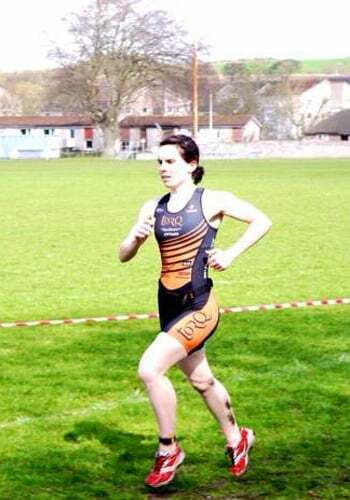 Congratulations to TORQ Performance Triathlon Team’s Emma Lamont, who opened her season with a convincing Silver at East Fife Triathlon. With no racing for 10 months due to injury, this was a great local race, which Emma has competed in several times before and was a good way for her to get back into the swing of things. It is crazy as to how much of your racing spark you lose, when you are not actually putting yourself on the start line. With the sun shining before she headed into the pool for the start, Emma was all set. With a good swim putting her in a strong position, little did Emma know that once she came out to T1 that the heavens would open and the temperature plummet, making it a very, very muddy track. 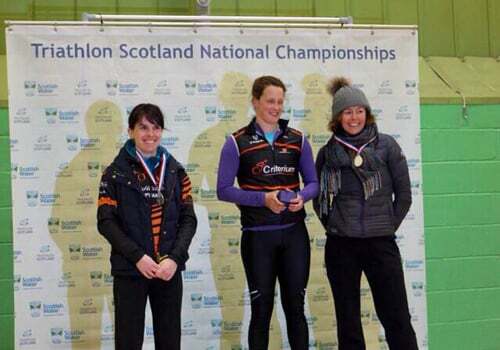 Although Emma struggled with the conditions on the bike leg, she sprinted home in the run to take the Silver Medal behind a very strong Commonwealth Games athlete, Natalie Milne. Emma is currently training for long distance, so a sprint tri was a shock to the system, but it was a great way to get her season started.